Clifton Park, New York - The town of Clifton Park is partnering with Rensselaer Polytechnic Institute's Center for Initiatives in Pre-College Education (CIPCE) to offer two summer programs at Clifton Park Town Hall.The programs will be both educational and fun for kids, allowing campers to gain real-world knowledge. 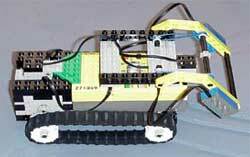 The LEGO Robotics Engineering Academy is for children ages 8 to 11. This program will allow students to better understand the themes that connect math, science, and technology. Those enrolled will use a programming language called ROBOLAB, which will create a fun, fast-paced, and exciting introduction to robotics. This is a two-week program that will run the week of August 8-19 and the week of August 16-20, weekdays from 1:00 to 4 pm. Registration for the two-week academy is $350. Animation and Gaming Academy is for children ages 8-12. This program allows students to learn about video gaming and computer programming. They will learn how animations, music videos, and video games are made and how to create their own cartoon character. The Animation Academy is a one-week program that will offer two different sessions. The first session will take place August 8-12 and the second from August 15-19, weekdays from 9 am - 12 pm. Both sessions will teach the same material. Registration for the academy is $200. Clifton Park Councilman, Scott Huhges, believes that the town's partnership with RPI "will offer local students world class training in cutting-edge science and engineering applications." For more information call the Office of Parks, Recreation and Community Affairs at (518) 371-6667. PLEASE NOTE: For children who would like to attend both programs and stay the entire day, there will be supervision during lunch time between the morning and afternoon programs.